We all know that scientific fraud is bad for science and society in general. However, apart from these general considerations it is necessary and effective to make young scientists aware of the fact that scientific misconduct ruins their personal integrity and destroys their careers. 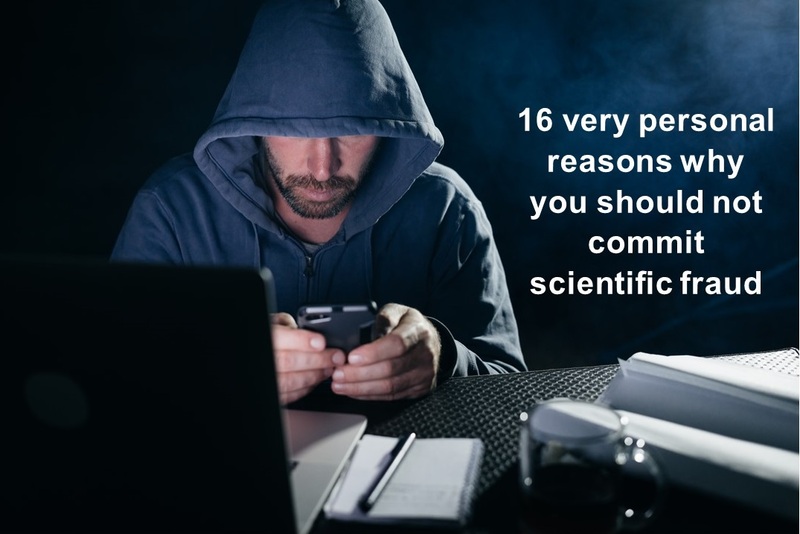 The following 16 personal reasons will convince most young scientists that scientific misconduct is a bad idea. One of the most important elements for personal well-being is your personal integrity and honesty. 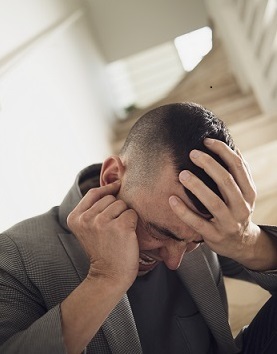 When you do illegal things or commit fraud, you damage your personal integrity and as a result your personal well-being – even when you are very good at finding justifications and excuses. You will feel bad. There is a big danger that you will never stop feeling guilty. There is a reason that many criminals finally confess because they cannot live with the lies anymore. This is a very unpleasant state of mind. 3. You will become paranoid. Very quickly you may become paranoid because there is always a chance that your fraud may be detected. Even when your fraud is well articulated and probably undetectable, there will be a persistent feeling that you may get caught. A psychological toll you have to pay is that you will develop doubts whether your accomplishments are real or just an undeserved result of your fraud. All future accomplishments related to the fraud will lose value because they are built on a lie. 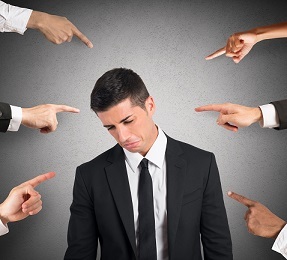 Since nearly everybody suffers from the imposter syndrome (“Tomorrow they will discover that I am a mediocre scientist…”), fraud may add additional strain on your self-confidence. Many young scientists fall in love with science because they want to discover truth, they want to discover how the world really works. Any small misconduct, any behaviour in the grey zone may distort the truth of your findings significantly. Any future research built on fraudulent results loses value. If you commit fraud yourself you will quickly find yourself in a state of distrust against everybody else. Liars expect everybody else to lie. You will not only get paranoid that others discover your fraud, you will also become paranoid that everybody else is presenting you fake findings. This double paranoia is a very destructive state of mind. Often big fraud cases started with sloppy science or tiny cases of ‘bending the rules’. Minor forms of research misbehaviour are much more common than heavy scientific fraud. These questionable research practices (QRPs) are often labelled as “sloppy science” and can be due to ignorance, honest error, or dubious integrity. This behaviour is not fraud, yet, but is already in the “grey zone”. Unfortunately, questionable research practices and sloppy science often develop a repetitive dynamic which is difficult to stop because all previous research is based on them and therefore you have to continue with sloppy practices to support your sloppy results. Therefore, it is better to stop sloppy science already in an early phase. If you get caught, your personal integrity and your accomplishments will lose all value in science and society. You will not look your colleagues and friends in the eyes. You will feel terrible shame. 9. If you get caught you will lose all credibility and people will turn their back on you. People will not trust you anymore, will not want to work with you and will distance themselves from you because you lost your credibility. Your colleagues will do everything to avoid being associated with you and your fraud to protect themselves and their careers. If you are not tenured there is a good chance that your contract will not be prolonged. Potential promotions will be set on hold. Selection committees will be rather reluctant to hire a person who has committed fraud. Thus, you may end up as a middle-aged jobless scientist. 11. If you get caught you damage the career of your friends and co-workers and the reputation of your institution. Apart from damage to your own career, you may also damage the career and reputation of everybody who worked with you as well as the reputation of your institution. Previous or current PhD students may fear to lose their title. 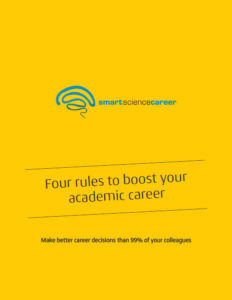 All co-authors may suffer from a bad reputation which may compromise their chances to get published, funded, promoted or to find a job in the future. You will be attacked by your colleagues because you brought their career in danger. You will be attacked by your institution because you damaged the reputation of the department or the whole institution. You will be attacked by other scientists because you damaged the field and science in general and you wasted tax payers’ money which should have been invested in proper research. Your university may withdraw your master or PhD title if the fraudulent findings have been included in your master or PhD thesis. This can happen even years or decades later! Editors and reviewers of your future publications may know that you have committed fraud and will be much more critical – or distrust you as a matter of principle. Thus, your chances to get published will be substantially reduced. Similar to reviewers of your publications, reviewers of grant proposal will tend to distrust you and not promote your future grant proposals. You may also get banned by funding bodies and not be allowed to submit grant proposals for a certain period of time e.g. 5 years or forever. 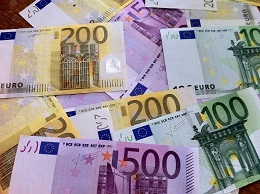 Funding bodies may ask back grants which have been misused. Since your institution may not cover costs as a result of fraud, you may even be forced to pay back with your private money. What to do when you are accused of scientific fraud? If you are accused of scientific fraud (no matter whether the allegations are true or wrong) use the following post as a guideline how to handle the allegations: What to do when you are falsely accused of scientific fraud? What to do when you have already committed fraud? If you have committed fraud already, you should do everything to repair the damage. Ask a trustworthy person for help to do the right thing in a way which does not damage your innocent co-workers. Maybe an ombudsperson can help you. Make a list of all persons who may be affected and inform them about your actions. Be prepared to be attacked. It will be difficult but coming clean will set you free emotionally. Conclusion: Your integrity is your biggest asset – do *not* compromise it! Science can be a competitive and confusing career path. Being in a competitive environment may push you to the limits – but no career is worth losing your personal integrity. Acknowledgements: Thanks a lot to Noémie Aubert Bonn for critical comments on the first version. PreviousI have a fake author on my paper – what should I do? NextShould I aim for multiple co-authorships to extend my publication list?